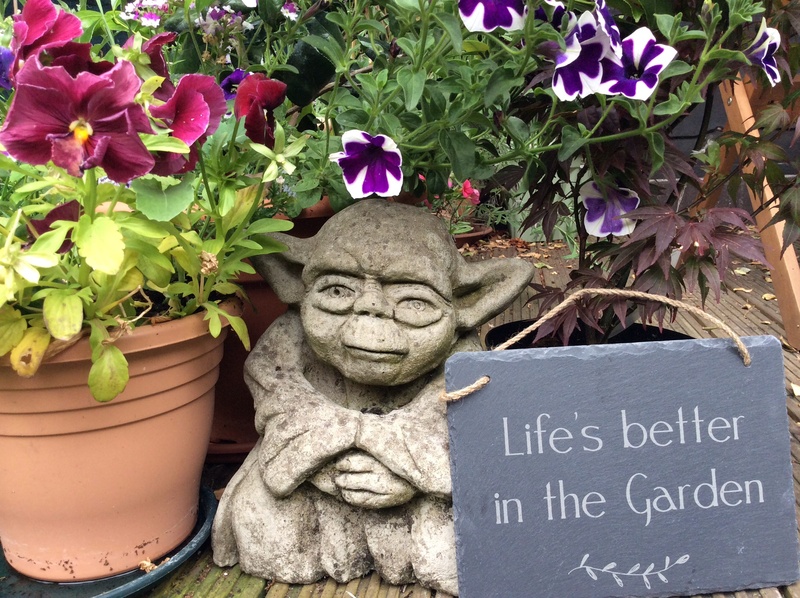 Love Yoda and the sign too! 🙂 May I ask where you found the sign? Not only do I prefer the slate to wood (which is what they all seem to be made of) but for some reason I prefer the contraction to the usual “Life is…” wording.